Lizzie is really special to us, she's our sister-in-law's sister! So of course we wanted to make her wedding flowers for her. 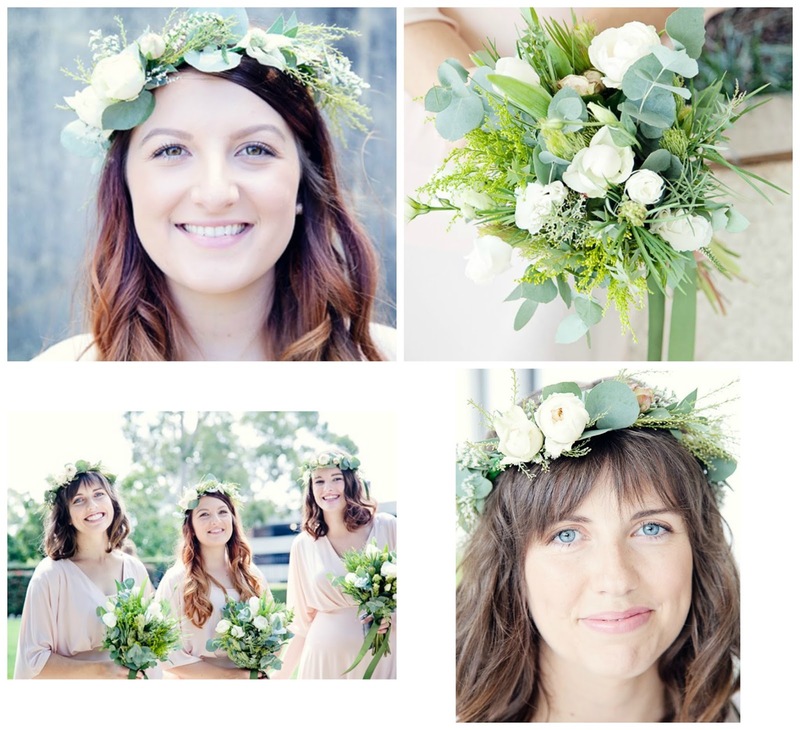 She briefed us with 'predominately green, neutral tones' and we went from there, feeling a minimalist chic wedding vibe. From sage green to the grey blue of the gun, these bouquets look hand-gathered from a ferny forest. We added more elements to Lizzy's bridal bouquet - like succulents and the most beautiful David Austin roses we could find. All perfect for a Good Friday wedding in Galston's vast Fagan Park. 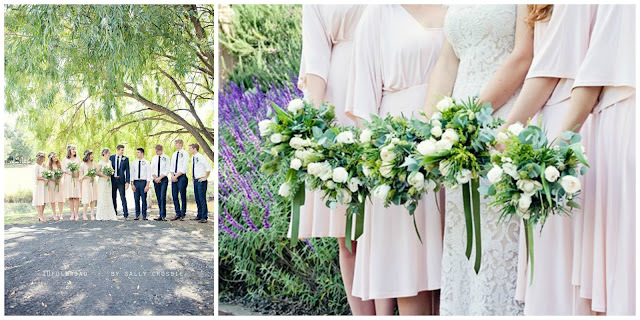 Each bouquet combined different organic green elements then some white blooms. So we have solidaster, white lisianthus, eucalyptus gum, emu grass, and cream David Austin roses. 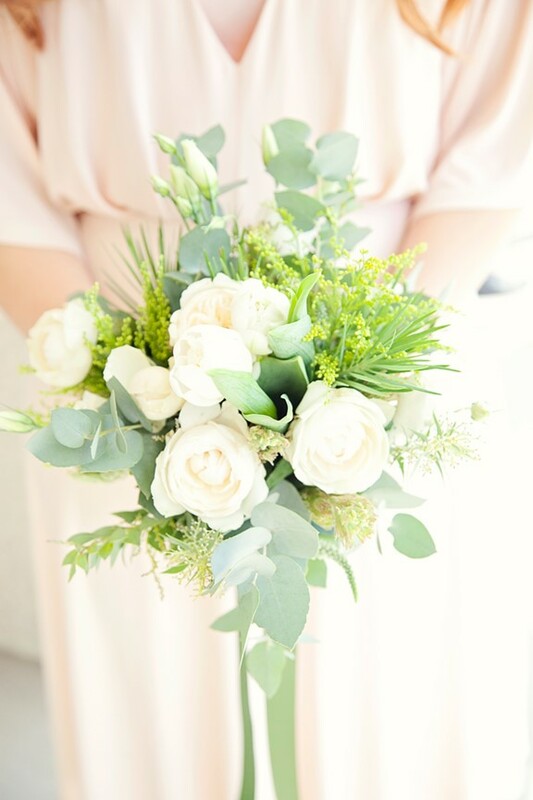 To make Lizzie's bouquet a little more special we also added white tulips, green nutty leucadendron and tied some succulents into the bouquet carefully as well. 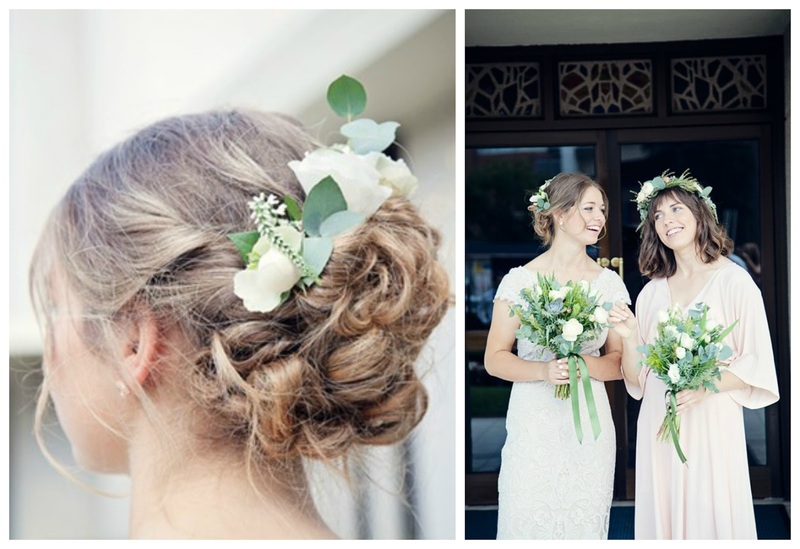 When it came to making the flower crowns, the goal was to keep them light, elegant and whispy. Lizzy and Jake were married at the Sydney Temple of the Church of Jesus Christ of Latter-Day Saints in Carlingford. Their wedding photos were taken in Fagan Park, Galston. All photography by Sally Crosbie, 10 Fold Road Photography.